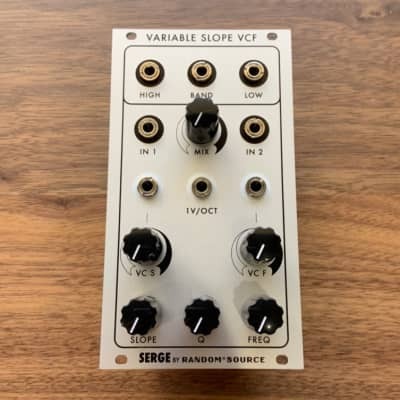 The Serge Variable Slope filter (VCFS) is a famous and essential filter of the Serge system. The Variable Slope filter (VCFS) allows the amount of filtering to be dynamically controlled as well, from barely perceptible filtering to highly resonant, sharp cut-offs. The VCFS has an unrivaled unique, organic characteristic. 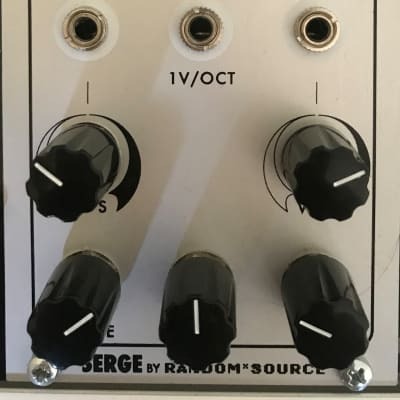 With the support of Serge Tcherepnin, rhe Random*Source version adds abjustable resonance - expanding the filter's character way beyond what's been possible with the original version.